Moschino is best known for it’s weird and wacky landscapes. And this season was no different- It was an elegant backdrop, completely thrown around. Like the aftereffects of a war. 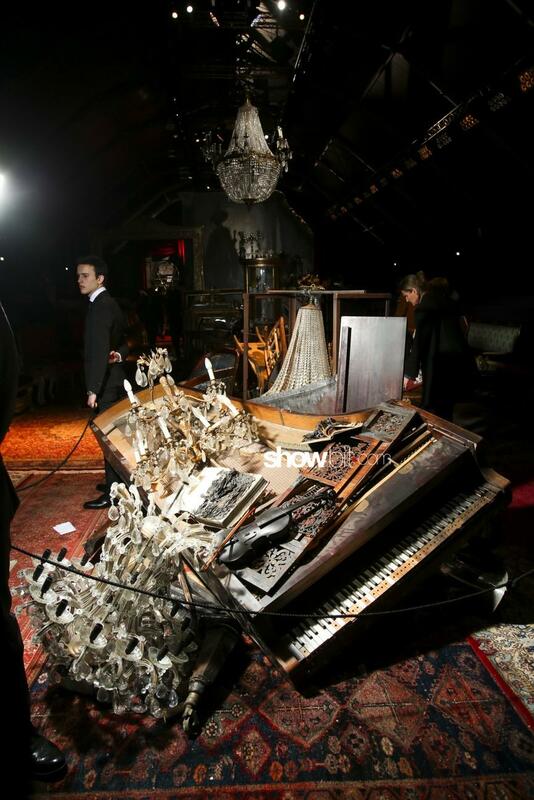 A broken grand piano. A fallen chandelier. And some smoke, that was essential for the scenery. It was destruction and it was beautiful.